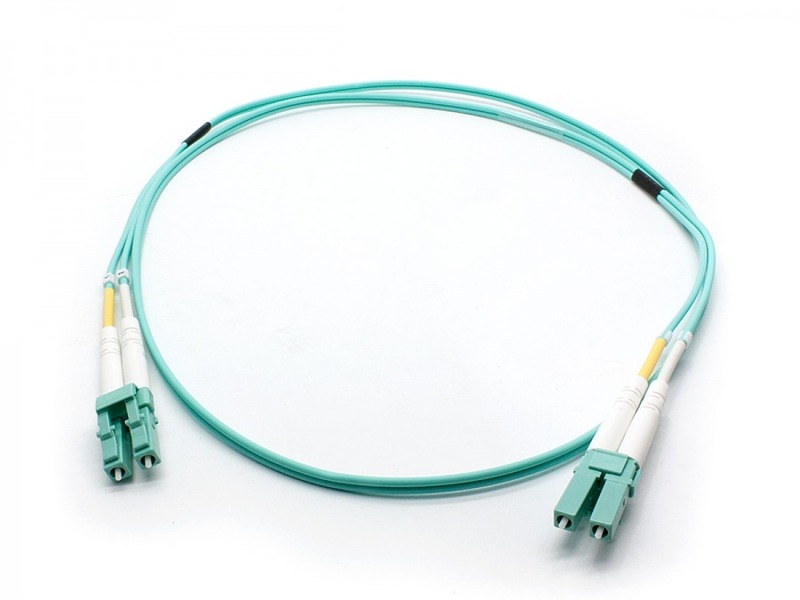 Our premium Multimode LC-LC Duplex OM3 Fiber Optic Patch Leads are designed for critical, high-speed networks in data centres and similar critical environments where immunity to EMI, RFI and ground-loop interference is nesessary to ensure data integrity and bandwidth. Designed to exacting Australian standards for government and large scale commercial integrations, our OM3 fibre optic cables contain flexible transparent glass to transmit data at incredibly high speeds. This LC-LC OM3 Duplex Fibre Optic Patch Lead is popular among telecommunications and fibre networking equipment in data centres and telco rooms. Each LC-LC optical cable is finished in a 2mm LSZH (Low Smoke Zero Halogen) sheath to ensure minimal toxic gases are emitted in the case of fire - important in confined spaces. It also uses the popular LC-LC connectors and the OM3 fibre core, allowing for faster data transfer at longer distances over the OM1 and OM2 standard.